Word has reached our group with the passing of retired Northwest pilot Captain David Joseph Roth, age 81. Captain Roth joined Northwest Airlines 04-08-1968. Widowed with the passing of his wife Martha in December 2015, Captain Roth is survived by his children and grandchildren plus many dear friends and other family members. Both obituaries appear below. 7132 Portland Ave. S., Richfield MN 55423. The Roths had most recently resided in Apple Valley, Minnesota. 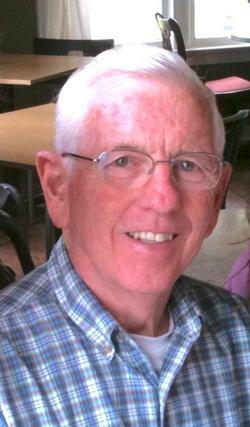 David J. Roth, age 81, of Apple Valley, formerly of Burnsville, took flight on his final journey peacefully November 29, 2017. David was preceded in death by the light and love of his life, Martha, after 60 years of marriage. He is also preceded by his parents, Elmer and Phyllis, and his beloved brother, Elmer “Skeets” Jr. He is survived and will be deeply missed by his devoted children, Tami Roth, Thomas (Karen) Roth and Nancy (John) O’Brien; his 6 treasured grandchildren, Benjamin, Shannon (Conor) Ryan, Michael, and Claire Roth, and Erin and Meg O’Brien, who truly were the joys of his life. David is also survived by his loving brothers and sisters-in-law, Wanda Roth, Daniel (Judith), Paul (Linda), Samuel (Sue), Jane Guest, and Mary Jane Demeree, as well as many loving nieces, nephews and longtime cherished friends. David graduated from Houghton Academy and received his B.A. in 1960 from Houghton College, Houghton, NY. He was accepted into Officer Candidate School and received his designation as a Naval Aviator in 1962. David proudly served his country flying reconnaissance missions along the Atlantic Coast during the Cuban Missile Crisis. He was a proud flight crew member who transported U.S. commanders to some of the first NATO talks in Paris, France. In 1968 David joined Northwest Airlines and flew as a commercial pilot for 28 years. He was very proud of the fact that, for 36 years, he got his Navy crew mates and Northwest Airlines passengers safely where they needed to go. After retirement Dave and Marty enjoyed spending time at their ”happy place,” their lake home in Wisconsin and traveling the world with family and friends. David loved the Lord, his family and his country. He enjoyed helping those he cared for in any way he could. He was a deacon at his church and combined his love for building and fixing things by volunteering his incredible talents with Habitat for Humanity. We would like to extend our heartfelt gratitude to the staff at Ecumen Seasons of Apple Valley and St. Croix Hospice, who became family over the years, for their loving care and kindness of our Dad. Our words can never express how grateful we are for the selfless care you provided for both of our parents. 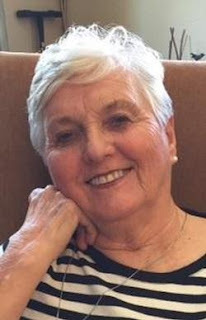 Martha L. Roth, age 82, of Apple Valley, formerly of Burnsville, passed away suddenly at her home on December 13, 2015. Martha is preceded in death by her parents, Thomas and Grace; and brother, Robert Guest. Again I have the onerous duty of informing you of the passing of another NWA pilot. My friend David J. Roth, age 81, of Apple Valley, MN, passed away on November 29, 2017. He was preceded in death by his wife Martha after 60 years of marriage. Dave was originally from New York state. He earned his USN wings of gold in 1962 and hired by NWA on April 08, 1968. Dave had been a long term RNPA member; therefore his obituary will appear in eContrails. A visitation and funeral service will be held at Hope Presbyterian Church, 7132 Portland Ave. S., Richfield, MN, on Monday, December 4, 2017. Visitation will begin at 10AM, with a funeral service at 11AM, followed by lunch at the church. Private interment will take place at the Fort Snelling National Cemetery on Tuesday, December 5, 2017. In lieu of flowers, memorials preferred to Wounded Warrior Project. (woundedwarriorproject.org).